This is a Kingdom Hearts 3 (KH3) Wiki and Strategy Guide for the new action role-playing game developed and published by Square Enix. 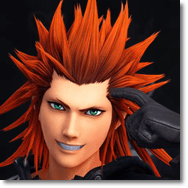 Included in this page are full KH3 walkthroughs, boss guides and databases for enemies, equipment, skills and abilities, and tips and tricks. What is Kingdom Hearts 3 (KH3)? This is a Kingdom Hearts 3 (KH3) Wiki and Strategy Guide page containing walkthroughs, strategy guides, tips and tricks for the new action role-playing game developed and published by Square Enix for the Playstation 4 and Xbox One. A special Keyblade called Starlight can be obtained in Kingdom Hearts 3. 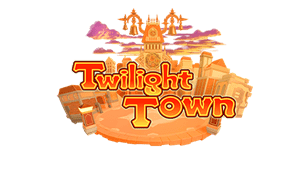 To obtain it, you need to play the mobile game Kingdom Hearts Union Cross. The Beloved Kingdom Hearts franchise has drawn much praise from various game critics for crossing the worlds of Disney and Square Enix Titles (most notably the Final Fantasy series), as well as having unique characters of its own and weaving them into a memorable fantasy narrative. Kingdom Hearts tells the story of Sora and his journey across various magical worlds in the Disney universe while armed with a mysterious weapon called a Keyblade to fend off malevolent beings known as Heartless and Nobodies. 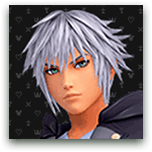 He seeks to reunite with his friends Kairi and Riku, and is aided by various characters coming from the Disney and Final Fantasy legendarium. Sora returns as the main character in Kingdom Hearts 3 and takes off from where Kingdom Hearts 3D: Dream Drop Distance left off. He is again accompanied by Donald and Goofy on his quest to search for the seven guardians of light and the “Key to Return Hearts”. Meanwhile, King Mickey and Riku are in race against time to find the previous Keyblade wielders to stop Master Xehanort from fulfilling his plan of balancing the light and darkness. 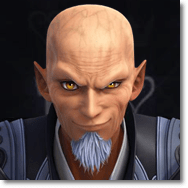 It is implied that the title will depict the final showdown between Sora and Xehanort, finally concluding the events of the long-running series. Kingdom Hearts 3 continues the long-standing tradition of the series to feature some of the most recent Disney characters and worlds released in various media. Among those works that will be included in the upcoming title (as seen in official trailers and promotional material) are Tangled and Big Hero 6. The Kingdom Hearts franchise is one of today’s most popular games, selling over 20 million copies since its first game worldwide. Though a joint project by Walt Disney and Square Enix, the design was mostly inspired by the former. This includes the imagining of the game world and the overall visual aspect of the series. The robust and action-oriented combat system was handled by Square Enix. The game’s focus on the mysterious weapons known as Keyblades that help the protagonists such as Sora and Riku heavily implies the fantastic design of Walt Disney. Although the Kingdom Hearts franchise is primarily an RPG, the actual gameplay leans more towards that of an action RPG, with players exploring the Disney-inspired worlds freely with the main characters. The player will traverse each of the game worlds in Kingdom Hearts as Sora along with his friends Donald and Goofy. Kingdom Hearts draws audiences through its unique and diverse characters beloved by millions around the world. It features a captivating and memorable narrative that tells of the power of friendship and courage to overcome the darkness beyond and within ourselves. Since creating massive franchises such as the Final Fantasy and Dragon Quest games, Square Enix has continued to bring us groundbreaking titles in the RPG genre. Kingdom Hearts is one such fulfillment of their efforts. Since its announcment in 2013, Kingdom Hearts has been in development, now spanning four years to this day. There is still no word of the official release date of the much-anticipated title in the series, which is somewhat worrying. Kingdom Hearts HD 2.8 (KH HD 2.8) was released in January 2017 for the Playsation 4, allowing players to get a feel for how a KH game will “feel” on the 8th generation console. It could be said that playing having played Kingdom Hearts HD 2.8 will give a more “complete” experience before anyone decides to dive into Kingdom Hearts 3. New Worlds are anticipated in the upcoming game, as with the tradition of Kingdom Hearts since its sequels. The same is expected in Kingdom Hearts 3. Most, if not all, of the worlds in Kingdom Hearts are based on popular Disney works – in film, television or other media. 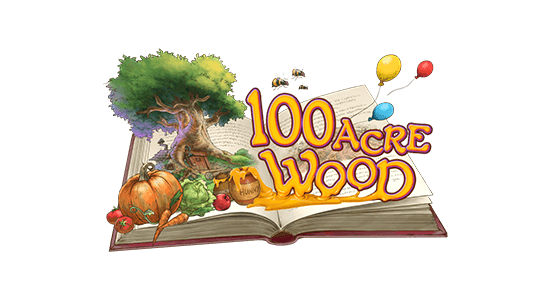 Such works like Wonderland (Alice in Wonderland), Neverland (Peter Pan) and the Underworld Hades (Hercules) have been featured in the games. These are just some of the fantastic and magical realms that Sora and his friends will travel to. For Kingdom Hearts 3, it has been confirmed that Rapunzel’s Tower (Tangled) and San Fransokyo (Big Hero 6) will be explorable in the game. 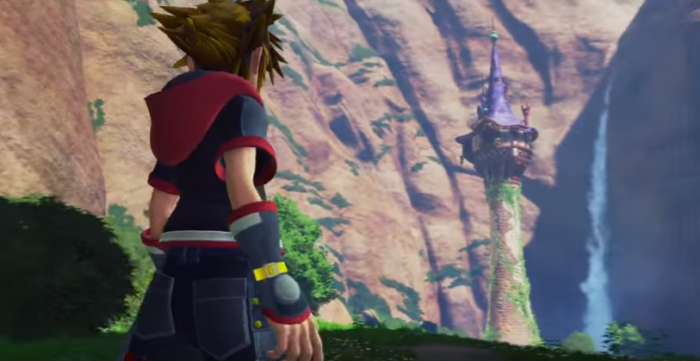 Sora gazes at Rapunzel’s Tower in the distance. 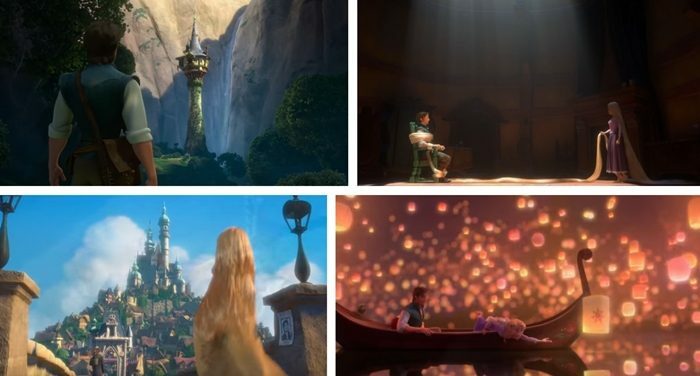 Rapunzel’s Tower is within an actual “kingdom”. Her realm is filled with lush forests and massive stone towers. On the image on the lower right, there are many lanterns hanging from around the boat floating across the river. 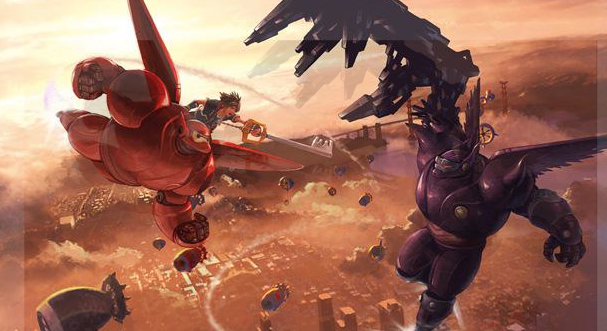 Sora and Baymax doing battle with what seems to be a Heartless version of the Big Hero. San Fransokyo is an amalgam of San Francisco and Tokyo, implying the fusion of both cities’ technological advancements. Compact cars are all around. The town of Thebes will also be explorable in Kingdom Hearts 3. 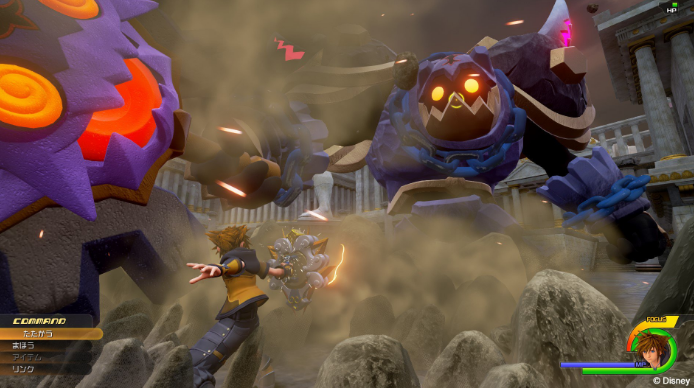 As seen in the screenshot, Sora will do battle with a Rock Titan from the Hercules movies. 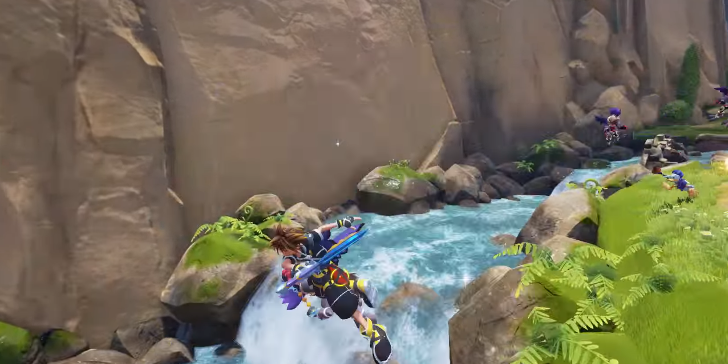 Also from the image above, Sora’s Keyblade in Kingdom Hearts 3 will now be able to transform to various other weapons. In the screenshot, it has turned into a shield to block the attack of the Rock Titan. Information released on February 18, 2017 confirm the existence of other transformations for the Keyblade, such as a bow gun and bazooka. 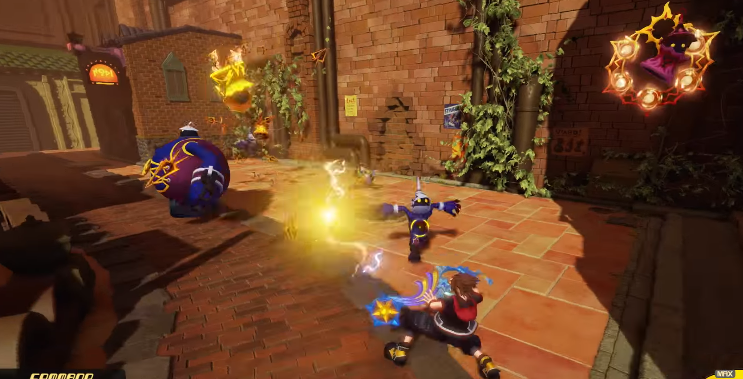 This new feature will definitely add more depth the Kingdom Hearts’ fast-paced combat system and will open new doors to strategies and attack patterns in the game. Hi Brian! We will be releasing more game guides and walkthroughs once the game is officially released. What do you mean by hard copy guide by the way? Will there be a physical booklet, paper, strategy guide coming to print for the game? I can’t find one for purchase anywhere. I have them for the previous games.